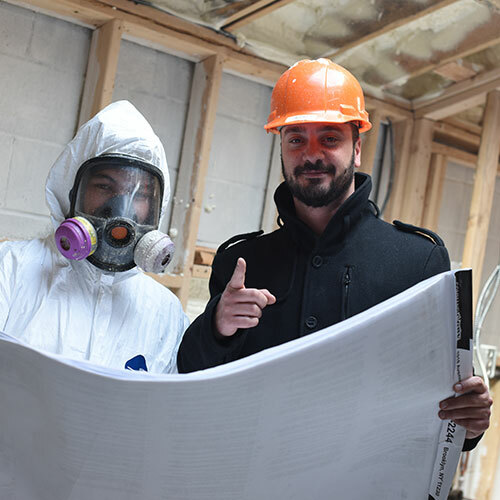 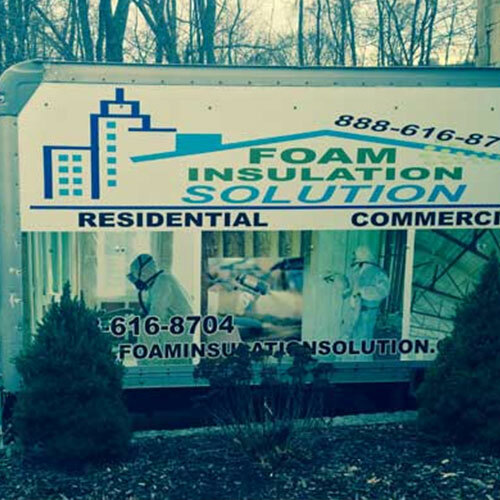 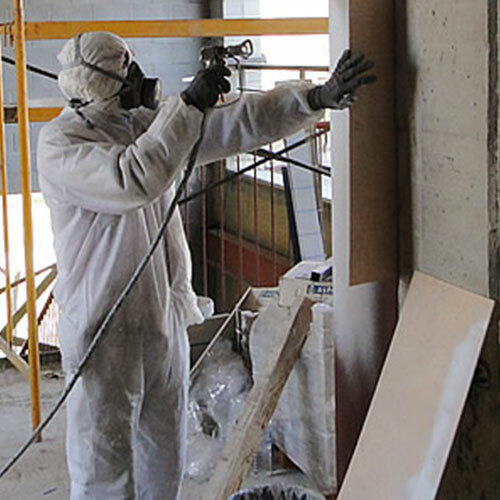 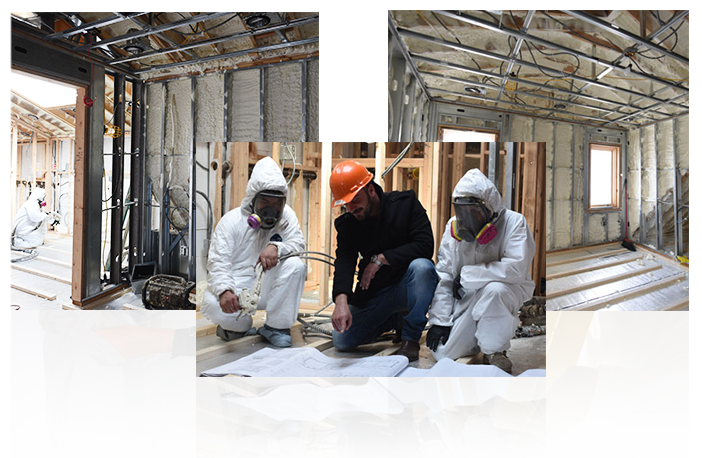 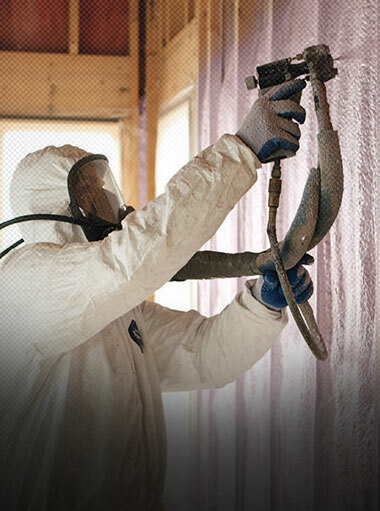 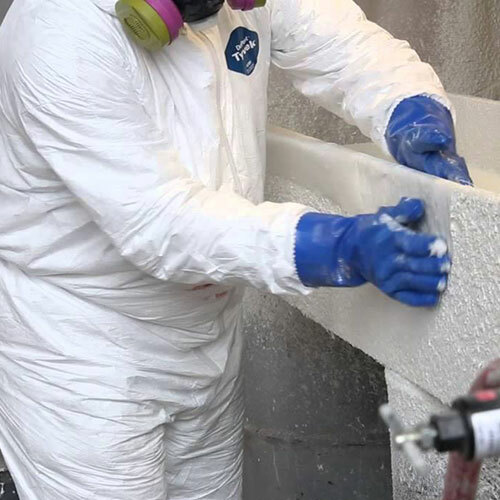 Foam Insulation Solution is dedicated to offering the residents and business owners of Rockville Center, New York with the answers to their most pressing insulation questions. 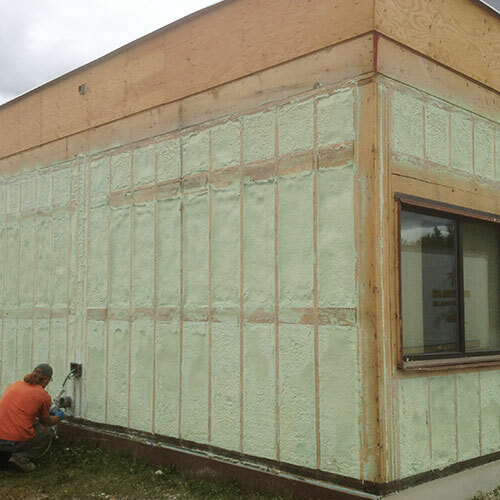 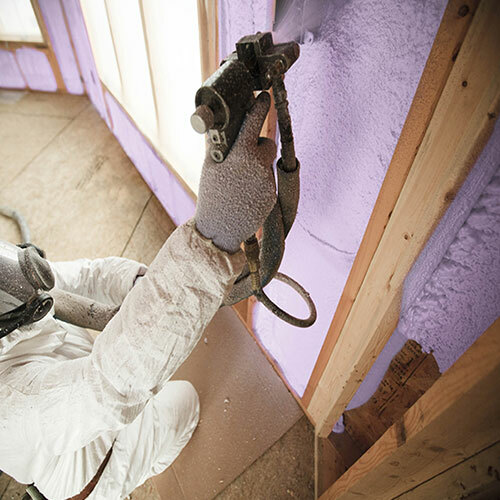 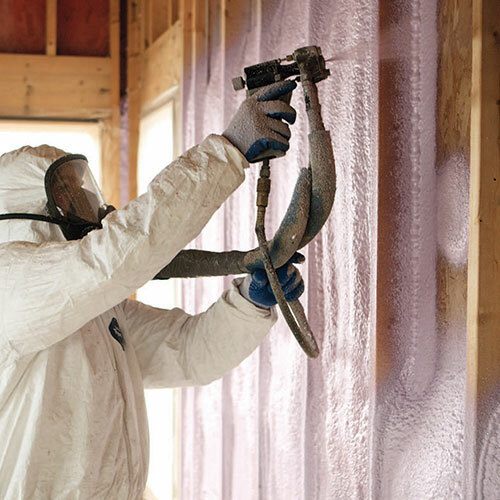 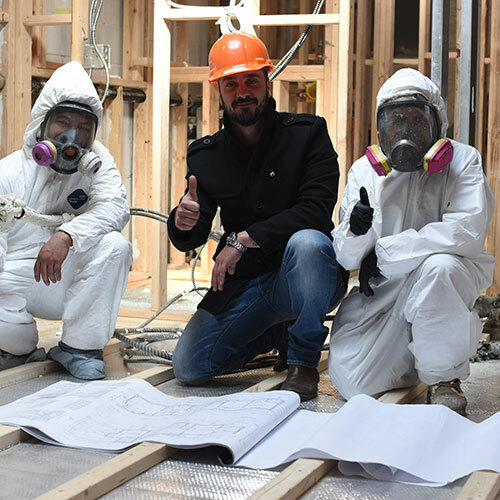 Staying safe and comfortable -- while saving energy and keeping utility costs down -- is the backbone of what Foam Insulation Solution has to offer. 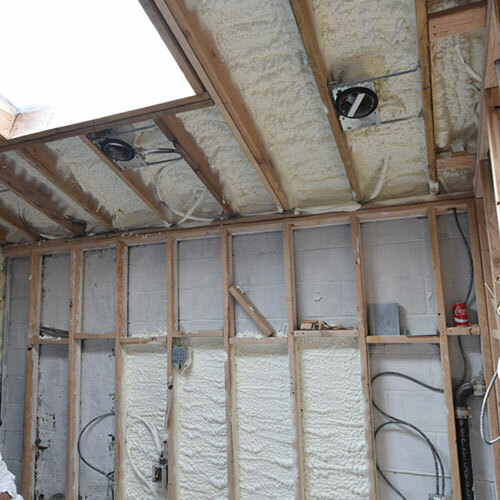 For more information about their services, including those noted below, Rockville Center homeowners and business owners should contact them today at 888-616-8704 or via the contact form on their website. 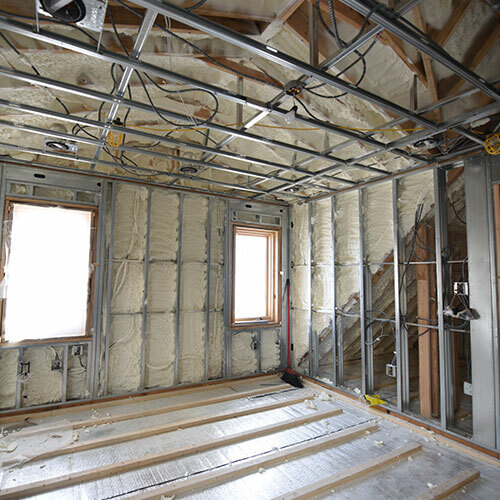 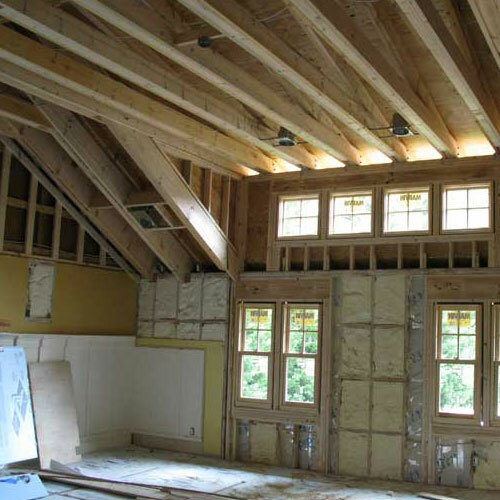 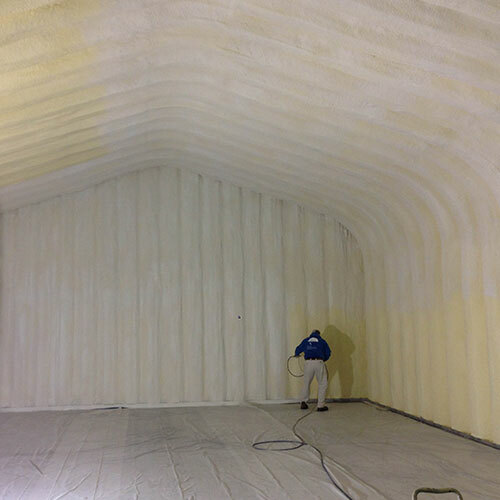 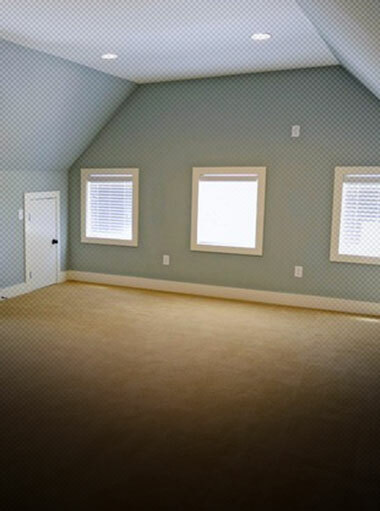 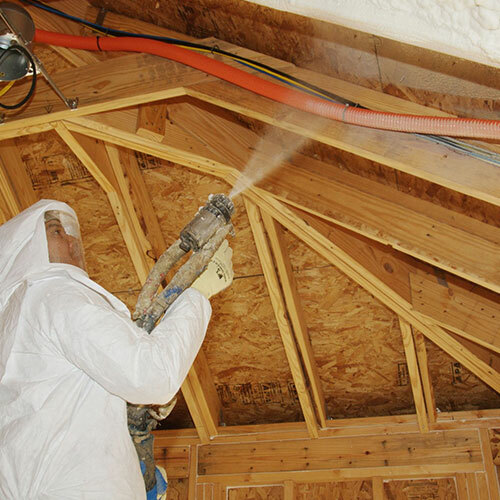 Spray foam insulation provides superior insulating properties for any room of their home or building. 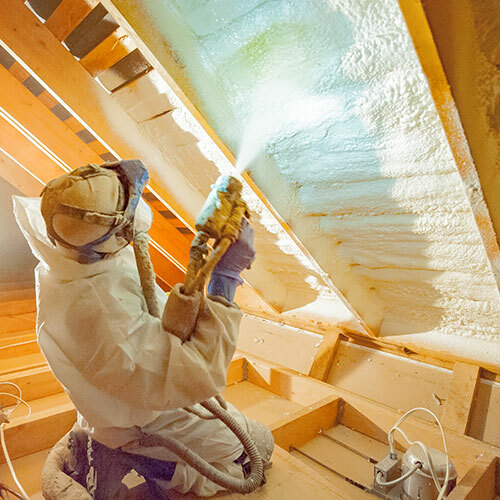 Designed to stop moisture, air and drafts from infiltrating interior spaces, spray foam insulation is a chemical combination that is designed to expand quickly. 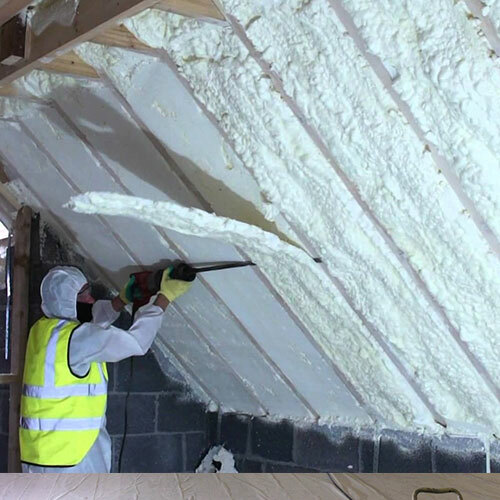 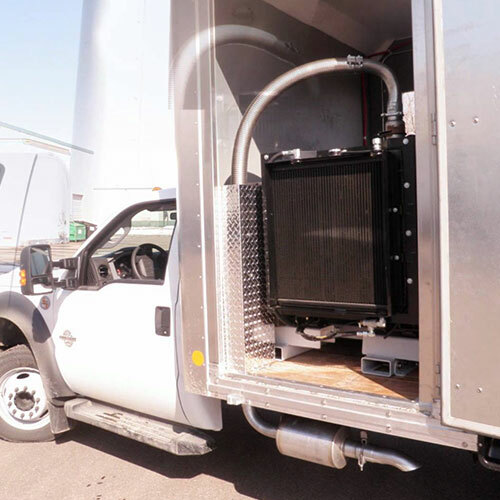 This rapidly expanding foam is able to fit into the tiny crevices and cracks that other types of insulation are not able to reach. 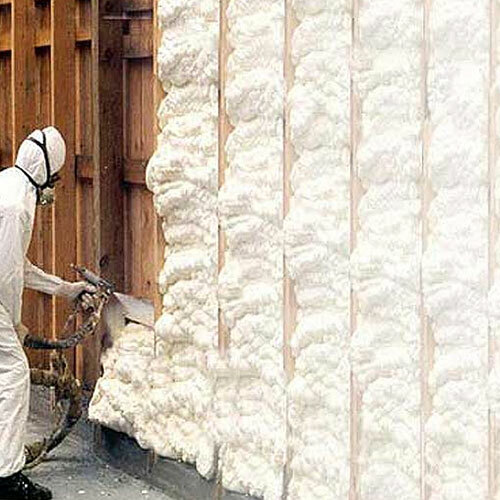 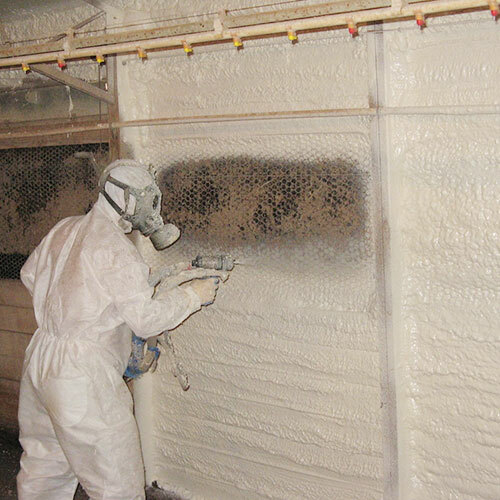 As it hardens, this spray foam insulation hardens and makes a more effective, protective barrier against the intrusion of air. 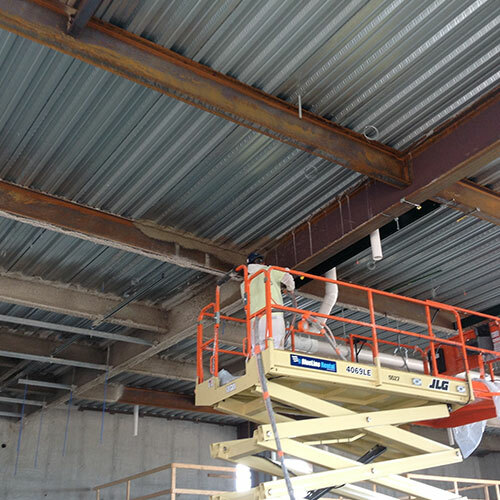 Steel beam insulation brings with it unique properties and compliance issues. 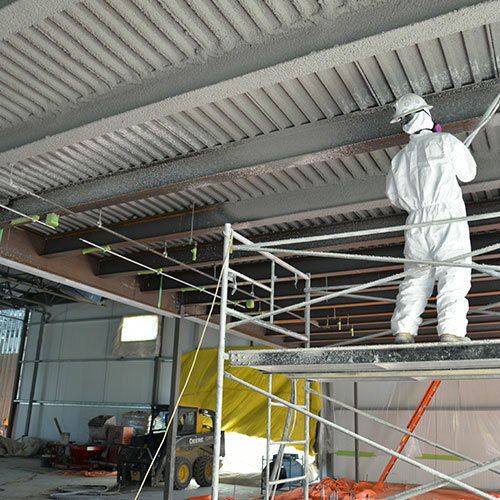 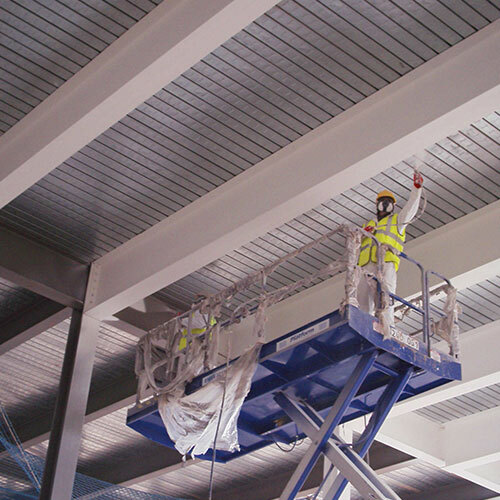 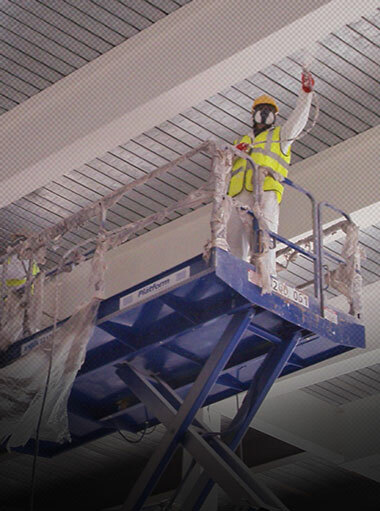 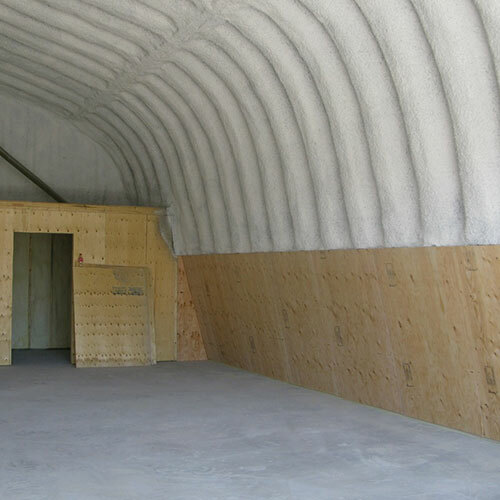 With spray applied fireproofing, commercial, residential and steel frame buildings are protected by materials that have been proven to effectively retard the spread of fire. 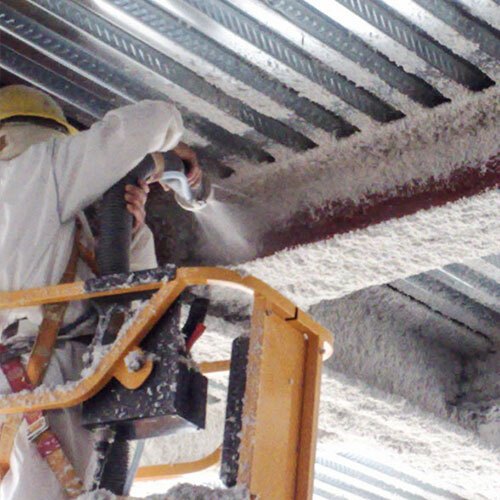 A selection of products helps ensure that the integrity of the building is retained -- even in cases of extreme heat. 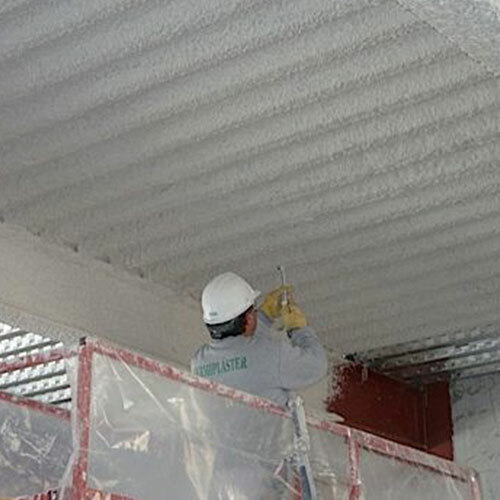 Fireproof paint -- which is commonly known as Intumescent Fireproofing Paint or Intumescent fireproof coating -- provides the owners of buildings and homes with an added layer of protection against the devastating effects of fire. 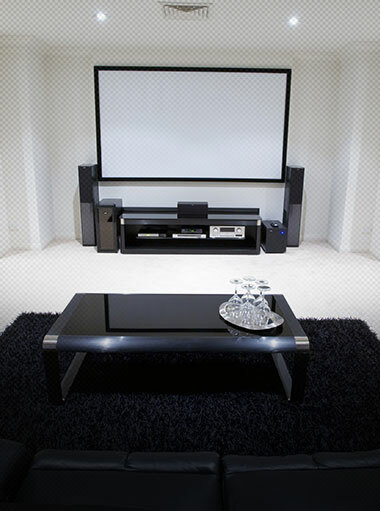 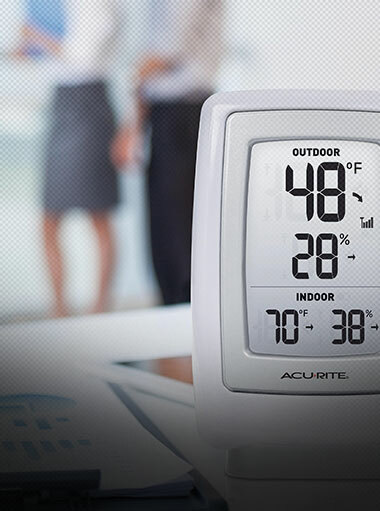 it's designed to meet nearly all of the standards established by fire safety experts. 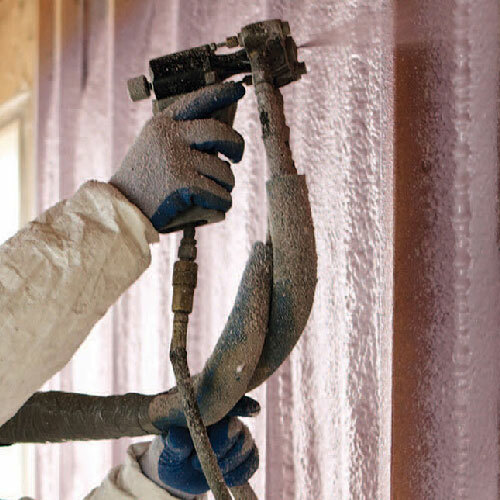 Easy to apply by simply spraying, rolling or brushing it on the area that needs to be protected, fireproof paints can be used on a variety of building materials including PVC, wood, metal, steel, sheetrock and more.